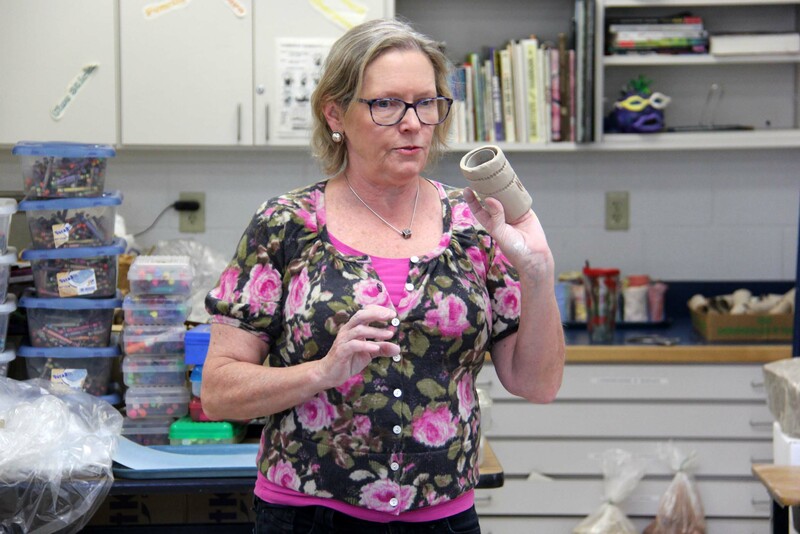 Speaking to an art class of fifth-graders, local sculptor Debra Chako described the clay firing process in terms she thought they would better understand. “If you think about it, cookies are baked at 350 degrees and these will be baked at 2,200 degrees,” Chako told a stunned audience. “The clay gets so hot, it glows,” she added. High heat will vitrify the students’ ceramics, making their work glass-like and water resistant, Chakro explained. This is essential because the final sculpture will be placed in Seatack Elementary An Achievable Dream Academy’s ocean-friendly garden in front of the school. Seatack staff and students set up the new garden this fall in partnership with the VB Surfrider Foundation, and Seatack’s gifted resource teacher Marie Culver knew it would be a work in progress. 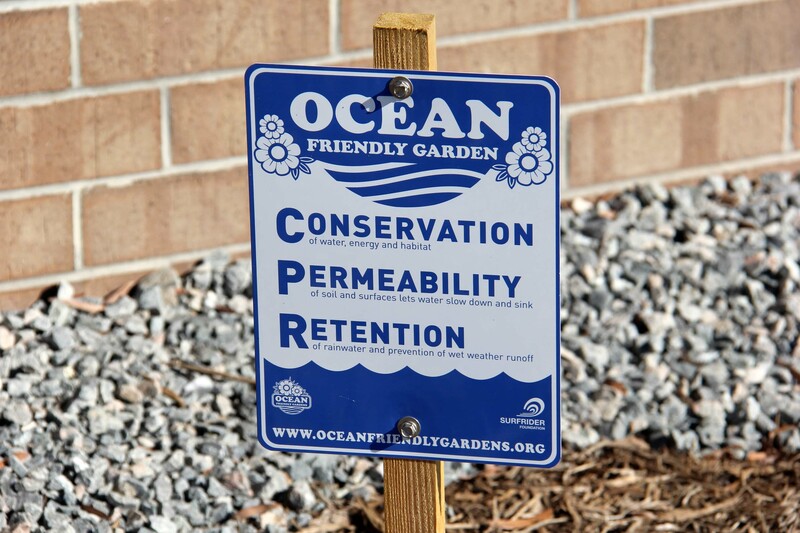 Culver applied for a Sustainability Impact Project grant from the Virginia Beach Education Foundation (VBEF) and was awarded funds in November to provide additional support to add to the garden. With the VBEF grant, underwritten by CH2M Hill and Virginia Beach Schools Federal Credit Union, Culver is able to purchase ocean-friendly garden plants and materials such as clay, glaze and rebar for the sculpture Chako will produce with help from Seatack students in grades three through five and their art teacher Maggie Smith. 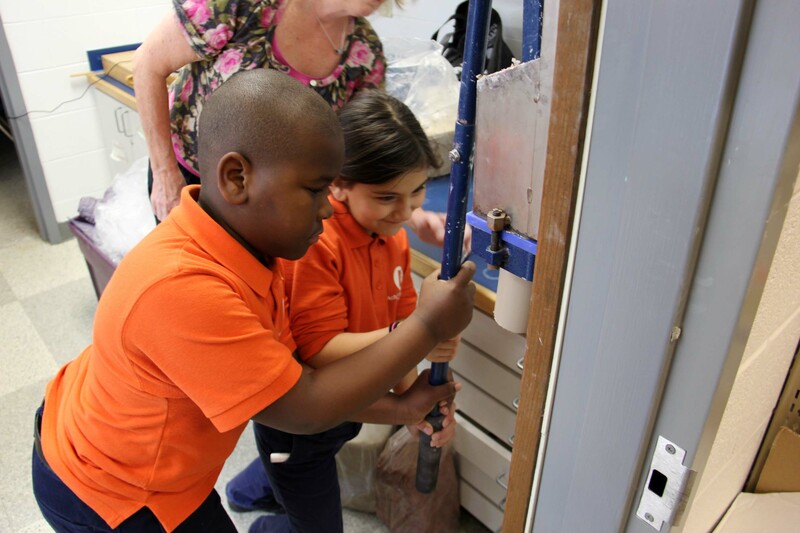 The students’ first step is to produce a clay circular tube from a tool called an extruder. 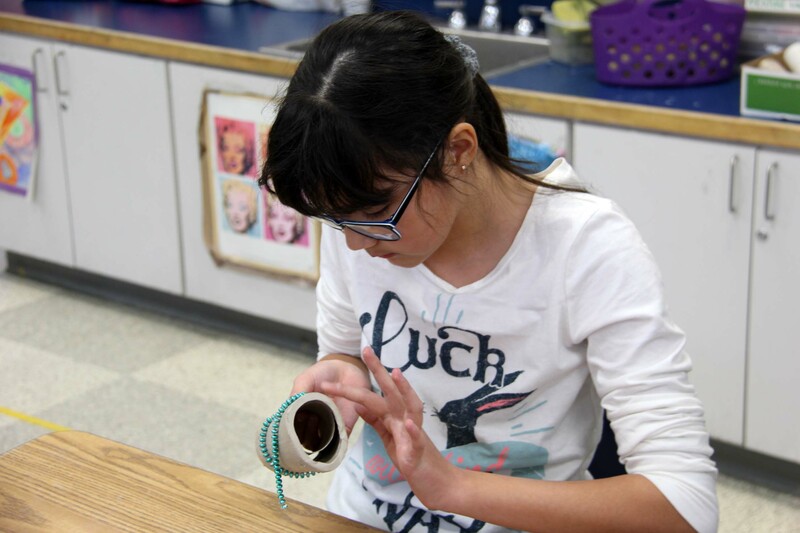 Using all their might, students pushed down a lever to move clay through device, and Chako cut off clay tubes into sizes a little bit larger than the cardboard insert of a toilet paper roll. 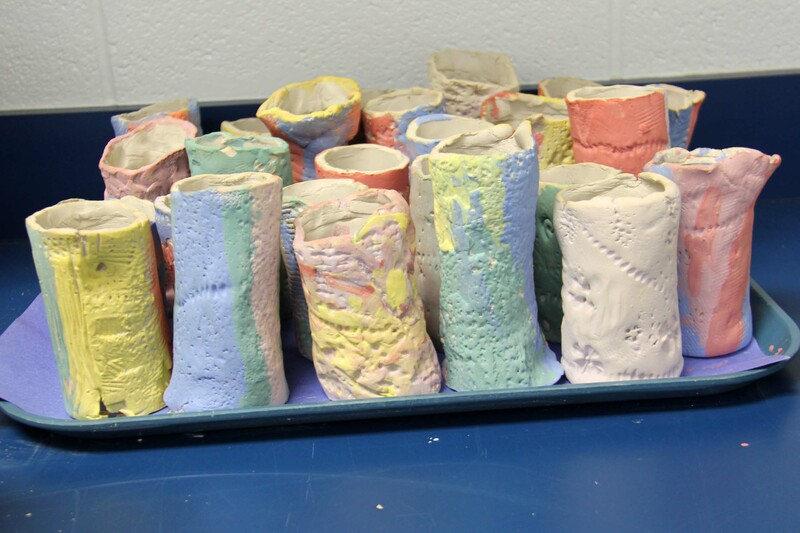 Step two is for students to texture the clay while making sure not to crush the circular shape of the tube. Plastic buckets filled with a mix of natural and man-made objects provide students with options for texturing. “Oh, there are gumballs, a necklace, a hammer with points, a starfish, a roller, a button, some shells,” called out one student as she looked through the items in the bucket at her table. One student limits her texturing to the dots left behind by wrapping a plastic-bead necklace around the clay and pressing gently. “I used almost everything,” said another student with pride. The texturing process did have its challenges. “It’s hard to keep it in a circle. You have to keep your fingers or hand in it while you turn it around,” said one student. 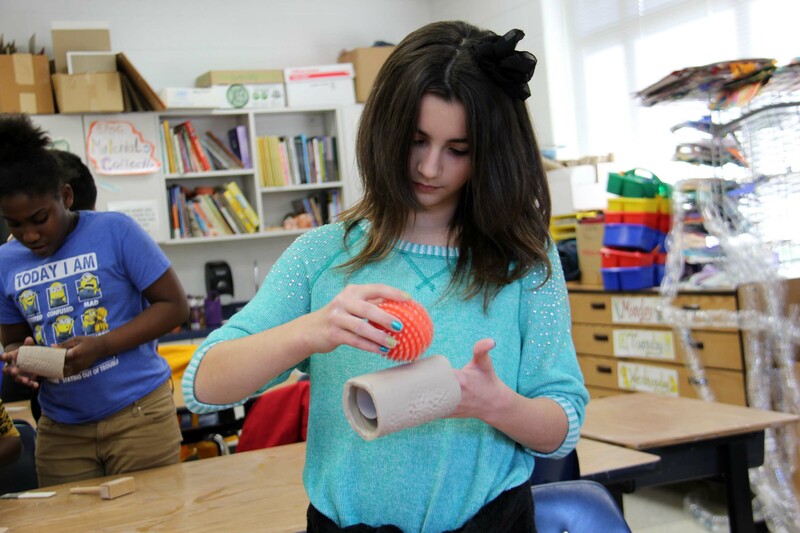 A cardboard tube held inside the clay helps students maintain the shape of their designs. 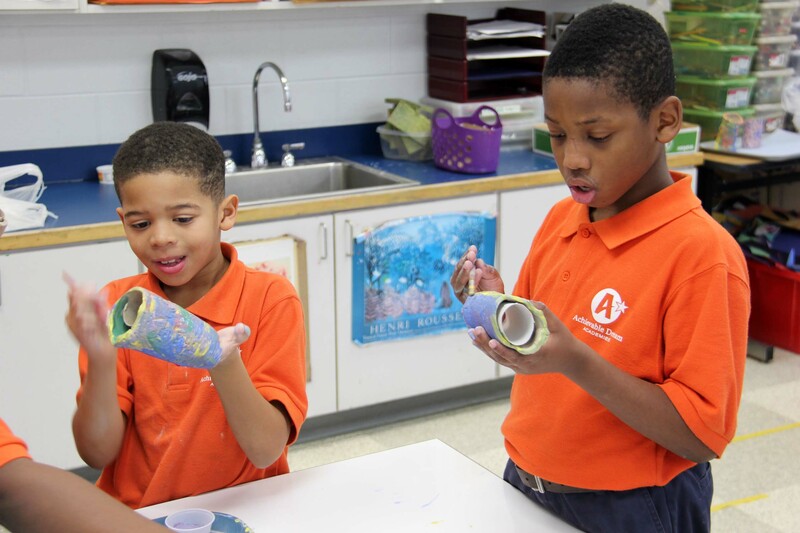 Step three appeared to be the favorite of most students – painting their creations. Despite the advice, students were determined to cover every inch of their coral with one hand holding a paintbrush and the other steadying the clay. Fifth-graders Lanasia Sanderson and Dream Tate had their eyes on the same color. “Blue. That’s my favorite color,” said Sanderson. Tate she also would use blue, and Sanderson gave her blessing with a smile. “Well, since we’re besties, I guess she can use it, too,” she said. Around one table of students painting, an impromptu Spanish lesson broke out with the help of native speakers Anjel Calderon and Bryan Ubeda. “Verde,” repeated Calderon when his classmate asked how to say green in Spanish. 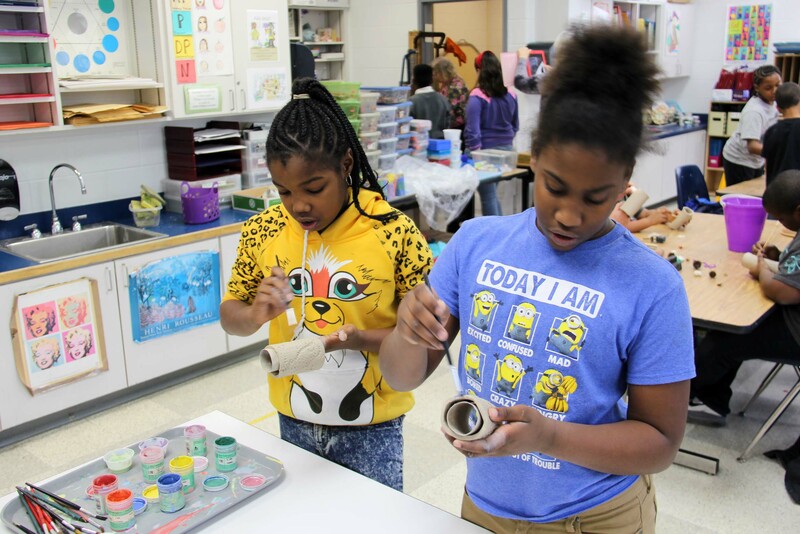 The fifth-graders at the table practiced saying “anaranjado, amarillo, morado and azul” as they painted their ceramics with the colors orange, yellow, purple and blue. As students finish painting and clean up their work stations, Chako explained what’s next. “What’s so cool about that is that our school is a neighbor to the Virginia Aquarium and has a lot of partnerships with them,” added Culver, noting that people associate lookdown fish with the aquarium’s sculpture at its main entrance. Seatack students and staff will unveil the completed sculpture in a garden celebration just before Earth Day in April. And how will students be able to identify their coral piece in the “Ocean Dance” sculpture once its on display? Smith loves the authentic project in her art classes for many reasons. What does she think the students will say when they see the final work of art? To learn more about Virginia Beach Education Foundation (VBEF) grants and how individuals, community organizations and businesses are supporting teaching and learning through the VBEF, visit www.vbef.org or contact VBEF coordinator Debbie Griffey at debbie.griffey@vbschools.com. The 2015-16 VBEF grant projects and grant underwriters are featured in a booklet available online here. This is a wonderful endeavor. Debra Chako is able to connect with children through art and this enables these children to connect with their environment and recognize that they have the ability to create something lasting. It only takes one person with intention to make a difference in someone’s life and thus, the world.